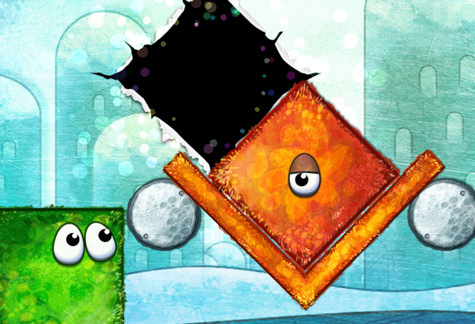 In this fun, match-three accelerometer based game, play with matches in more ways than one! 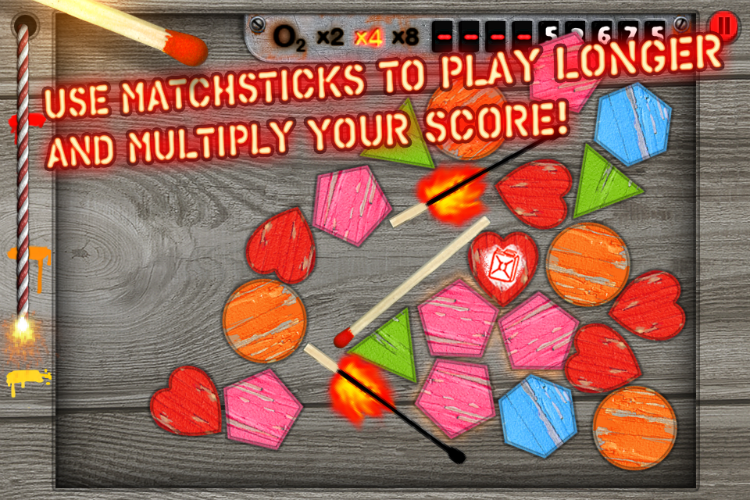 Match sets of three or more shapes and burn them, and use the matchsticks in the game to give you more time and multiply your score. But don't let the fuse reach the top! 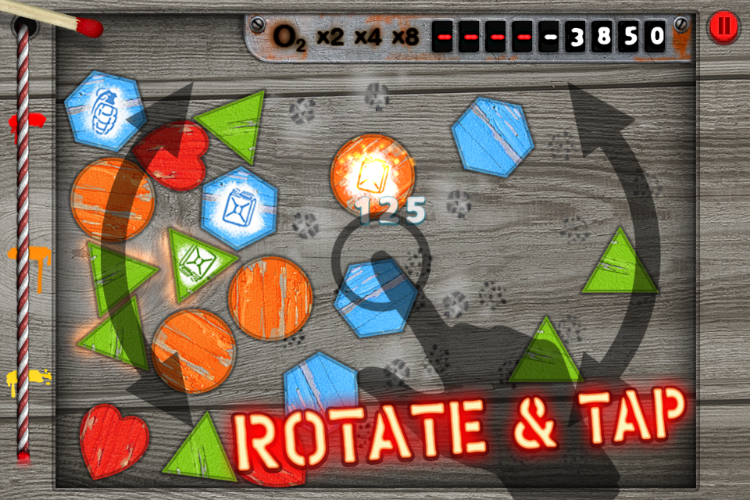 Match more than three pieces at a time to gain bonuses. 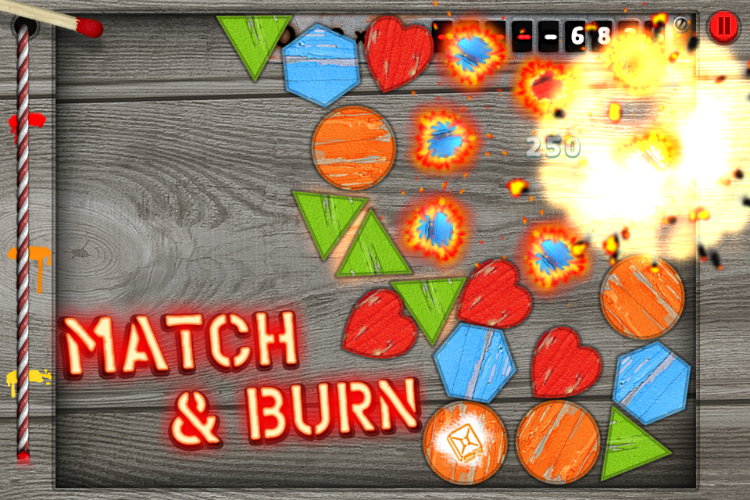 Burn the bonuses or draw a matchstick to lengthen your fuse. Figure out how to multiply your score. 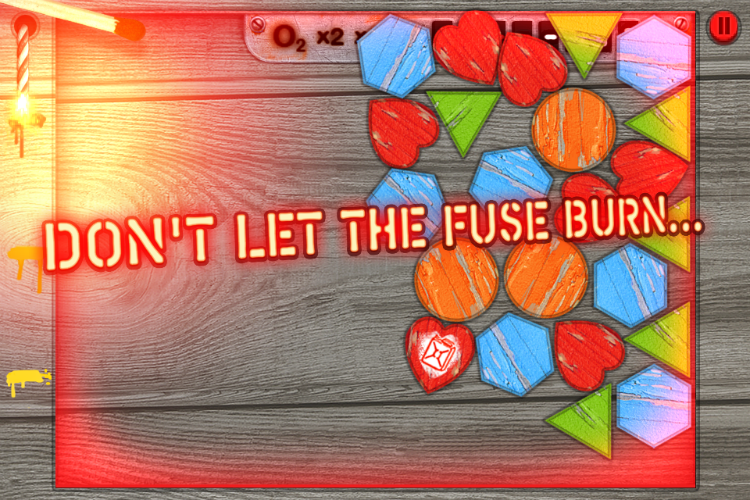 Beware of the hazard pieces, as they can extinguish your bonuses and speed up the burn rate of your fuse. 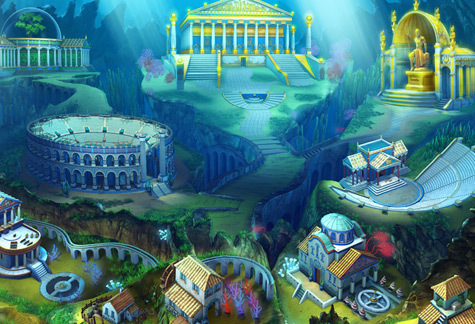 zMatch supports OpenFeint for high scores and achievements. Download zMatch and get ready to Burn, Baby, Burn!